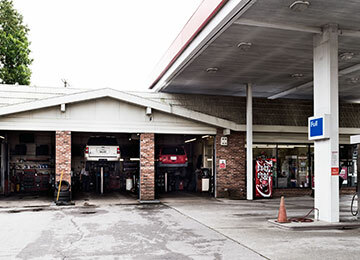 Designed for Your General Service Shop. *Machine prices listed online are applicable in the US only. 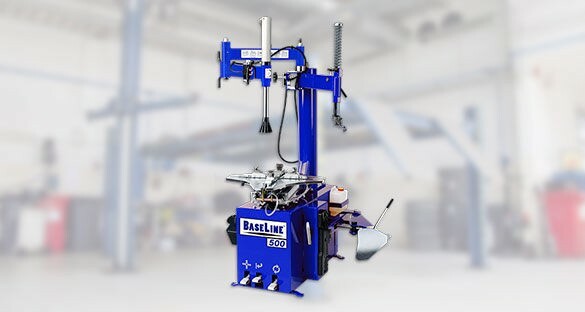 Why BaseLine Tire Service Equipment? 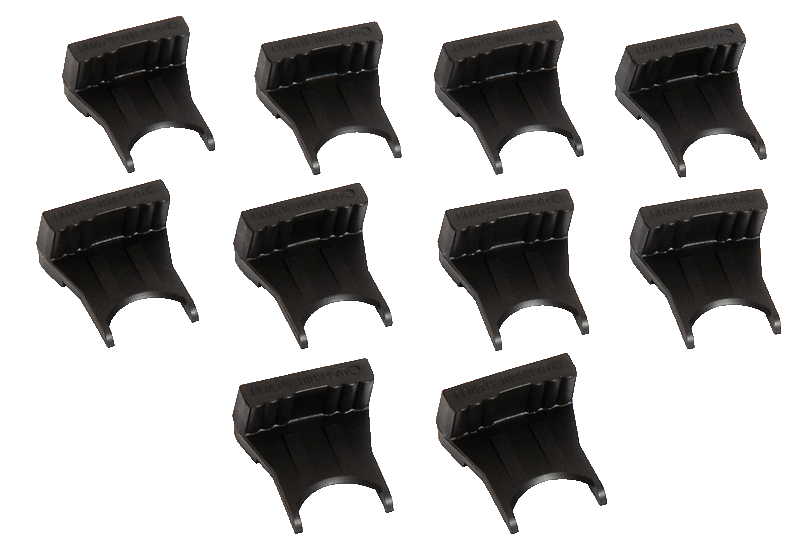 Offers the capability of expanding your shop without breaking your budget. Machine prices listed online are applicable in the US only. Entry-level machines designed for new shops or shops looking to expand service. 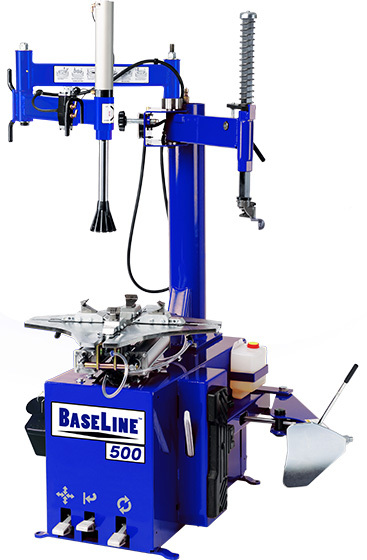 The BaseLine models are designed for general service. These products are a great place to start. 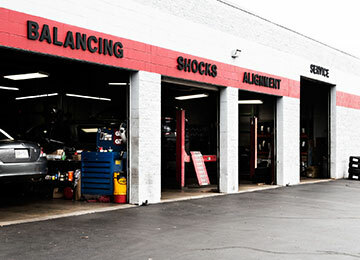 They are entry-level machines that will service the majority of OE fitments. 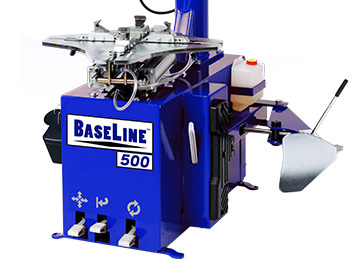 These durable machines are equipped with basic features, intended for low volume usage. BaseLine tire changers come with the tower assembled and ready to use, requiring only a minor setup of the machine. 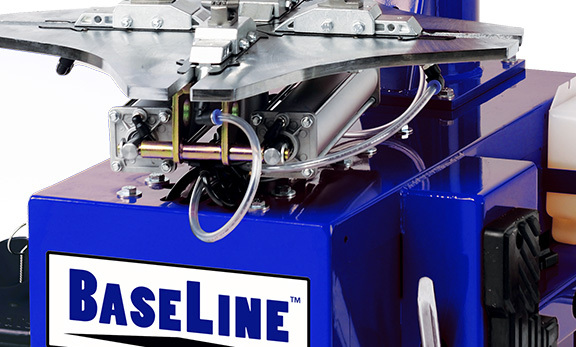 All BaseLine models now come with an improved warranty of 12-months, with complete access to the factory authorized service network. 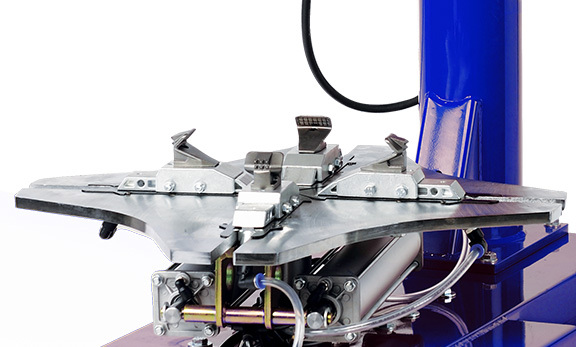 Fully articulating Robo-Arm® aids in the mounting of stiffer sidewall tires. 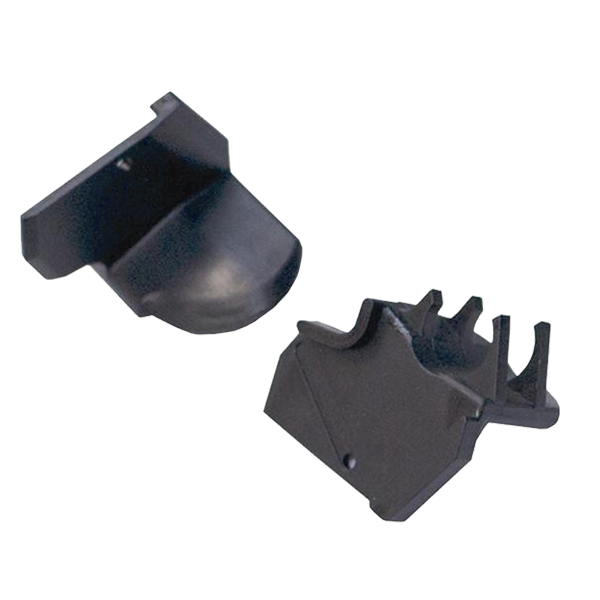 Steel rim clamps provide a wide range of clamping capacity, up to 24" externally. 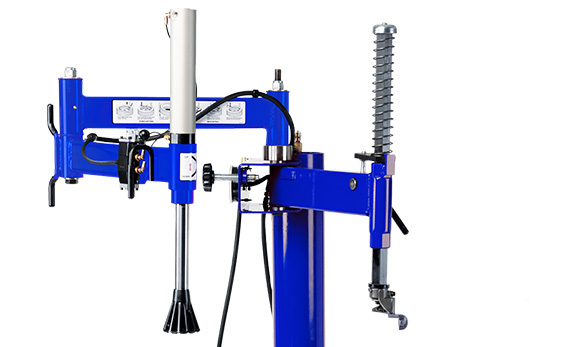 The air powered side bead loosener provides direct line of sight for the technician, reducing the risk of wheel damage. Quickly seals beads while tabletop inflation provides a faster workflow. The electric 1.0 HP motor provides ample power to effortlessly rotate the tabletop.